Ulster scrumhalf John Cooney will make his fourth appearance for Ireland on Saturday evening in Dublin but against the USA it will be his first start. 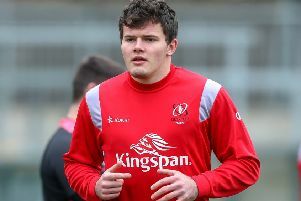 Joe Schmidt has opted to give Cooney the start in the final November Test series and is excited to see how the Ulster number nine goes alongside outhalf Joey Carberry. Cooney is also looking forward to the occasion, patience finally paying off.